Like many viewers enamoured with the 1970 film Goin Down The Road, I had always hoped that director Don Shebib would create a sequel to his Canadian classic. What had happened to Pete and Joey after the film fades out? After having experienced their hopeful emigration to greener pastures from the Maritimes to Toronto, our heroes find despair and economic hardship, and then after a poorly planned plot to steal some groceries which ends in violence, flee to an uncertain future in the west coast (Joey leaving behind a pregnant newlywed wife). 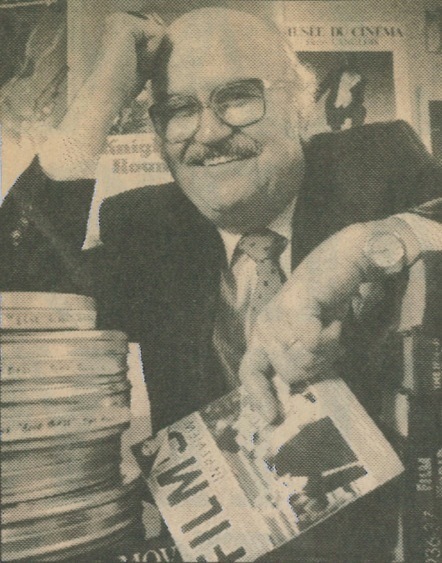 For years, Shebib had resisted requests to do a followup film, until finally Cayle Chernin (who played Pete's unrequited love interest in the original) persuaded him to revisit the path charted by this groundbreaking film. "We're watching the movie with two dead people. 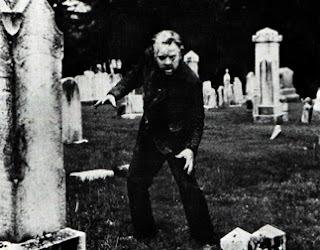 That's what's so great about old movies- you're entering the land of the dead." This is a typically moribund statement uttered by the death-obsessed author Michael, much to the consternation of his fellow Bronx-native friend Louis, who has journeyed to Los Angeles to visit his old pal for some good times. The line above, by the way, is uttered while the two men watch Laurel and Hardy in a funny scene from The Bohemian Girl. This scene is indicative of the entire film: where moments of supposed joy are subtly coloured with dread. And when we consider that the good-time-seeking Louis and the bleak Michael are going out for some action on Christmas Eve, we realize that this isn't going to a typical holiday movie fare. In his bilious book Movie Wars, author Jonathan Rosenbaum makes the snarky assertion that the only good thing the American Film Institute ever did was finance David Lynch's first feature, Eraserhead. Well, no. Hot Tomorrows, the first feature by Martin Brest (later of such hits as Beverly Hills Cop and Scent of a Woman), was also produced via the AFI, yet it's unfortunate that this $38,000 wonder has never received its deserved audience. Today, this black comedy is sought by collectors, especially for the appearance of Danny Elfman and the Mystic Knights of the Oingo Boingo, who are the musicians in the sparsely populated Paradise Ballroom, one of the stops of our protagonists' fateful journey on December 24. Shot in glistening black and white by Jacques Haitkin, these flickering images recall the spirit of the old movies that the men refer to, especially in the bizarre 42nd street revue that closes the film. The deeply expressionist photography indeed captures the moribund atmosphere that surrounds Michael (in fact the hard key lighting on the band suggests a cabaret act from beyond the grave), but it also enhances the sorrow and loneliness that permeates the lives of our principal cast. Even without the death-obsessed symbolism, Hot Tomorrows is a valuable film for offering an alternative look at Christmas-time. It beautifully captures the holiday season for those who find this time of year difficult, as they are shiftless, alone, and looking for something-anything to do. These displaced people somehow find their ways to the Paradise Ballroom (tellingly, the only clientele on Christmas Eve), and find momentarily companionship with one another. Michael and Louis befriend another Bronx native, Tony, who accompanies his rich, socially awkward friend and employer Albrecht, while the latter's wife carries out an "arrangement" with her boyfriend. 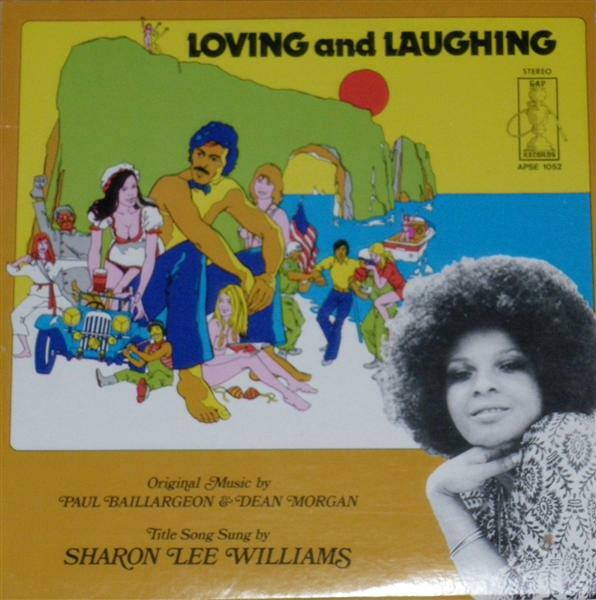 In addition, Louis chats up a girl, Polly, whom one senses yearns for greater things, but doesn't know what or where. This sequence is a moving portrait of people who are trapped in their own limited lives. And if this scene isn't a desperate enough way to spend Christmas Eve, it gets better. Upon leaving the club, the two men hear a radio ad (voice by Orson Welles!) about a funeral home offering free coffee to sober people up and prevent car accidents ("it's better to drive here than to be carried here"). This is all the provocation that Michael needs. What follows is another scene of displaced people who have momentarily converged in their pursuits of something to do while alone on December 24. However, Michael manages to cajole the funeral director into seeing the embalming equipment, and in a moment that climaxes his death fantasies, he views the dead body of an old woman. 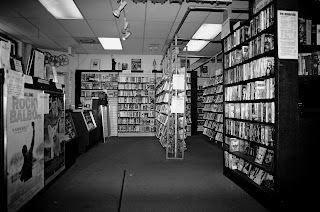 Michael has been working on a story about his aunt Ethel, who appears as the "face of death", seen in photos, posing at the supermarket, and even in the funeral home. Although Hot Tomorrows sometimes plods in its short running time, it is a jewel of a movie- at once a black comedy about death and a moving portrait of urban loneliness, which results in tragedy, yet concludes with a bizarre sequence that is equally moribund and (somehow) life-affirming. During Halloween season, little boy Mark helps a witch get her cat Lucifer down from a tree, and for his kindness, he is rewarded with a (talking) Magic Christmas Tree that grants him three wishes. Mark's first wish is to give himself power over everything for an hour, thereby turning night into day, and creating merry mayhem by allowing vehicles to run away on their owners. His second wish is the selfish notion to have Santa Claus all to himself. Will his third wish be of any virtue? 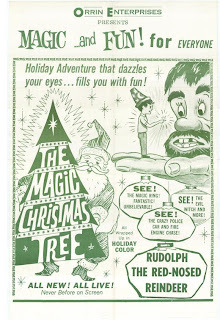 This jaw-dropping holiday film (although clocking in at less than an hour, feels twice as long), begins in black-and-white, likely inspired by The Wizard of Oz, and yet feels like a failed 60s suburban "Our Gang" reboot, replete with "ah gee golly whiz" dialog indicative of Spanky and the bunch, as Mark and his friends gripe over what each other has brought to school for lunch. Once the tree appears the film bursts into powdery full colour, it resembles a Sid Davis film run amuck, with a sterile look befitting the middle class suburban milieu. 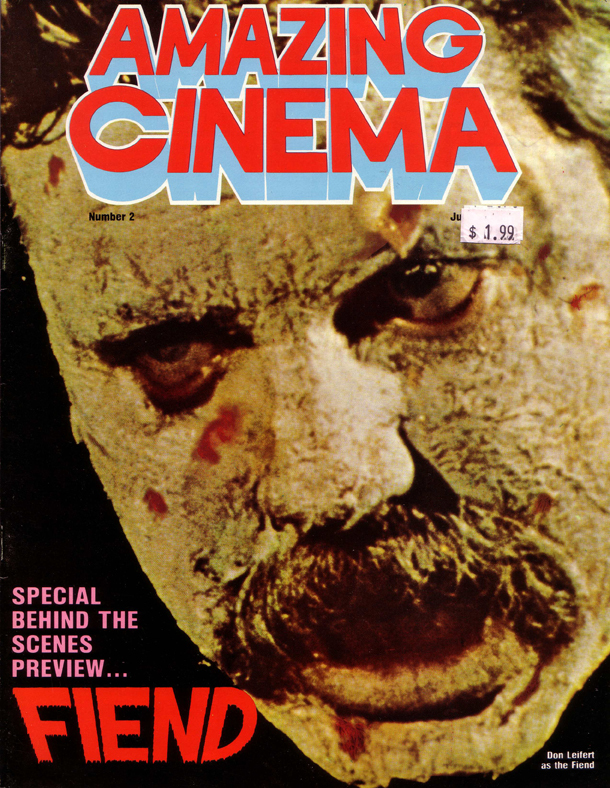 Indeed, the stifling, locked-off camera work, the rubbery post-sync sound and the wooden performances make this the classroom film from Hell. To adult eyes, this deceptively short film may be interminable with its stock footage, unimaginative mise en scene, sloppy production values (squint and you'll see the crouching stunt bodies at the wheel of the so-called driver-less cars), and its uninspired slapstick (the father attempts to chop down the title tree for what seems like minutes). On the other hand, older viewers would notice the movie's sarcastic tone that would escape its target kiddie matinee audience. This bitter poem about greed has a novel character in a talking tree, yet whose voice (resembling an effeminate version of a world-weary Jack Benny) hardly sounds inviting. In the sequence detailing the "second wish", Mark is held captive by a giant in the forest who will allow the young lad to be as greedy as he wants provided that he remains the big man's slave. In a perverse spin on A Christmas Carol, he is forced to gaze into a pool of water to see the aftermath of his selfish request. Via representative footage and a droning narrative, Mark is witness to how the world is in turmoil due to the missing Santa Claus who is held captive in Mark's living room next to a caustic Christmas tree! (Explain this one to the missus.) The giant however agrees to let Mark go back to the real world on the condition that he undoes his greedy actions. And to hammer the point home once again, the giant points to the camera, warning the kiddie audience that the next greedy kid to be his prisoner "could be you!" 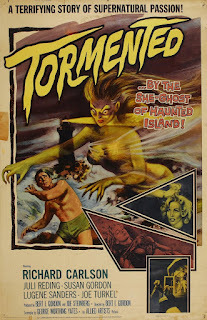 Like the primitive scare films of Sid Davis, this movie delivers its message by sending its characters on a one-way ticket to Hell, and additionally refuses to let its viewers off the hook. 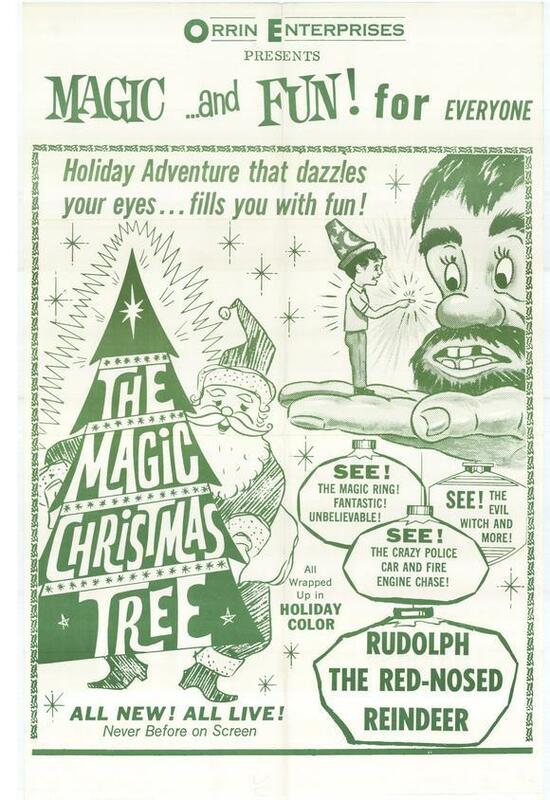 Although on both sides of the camera, The Magic Christmas Tree is pedestrian, it is however fascinating for all the wrong reasons. 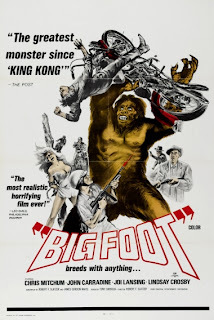 Despite that it was likely marketed as wholesome family fare (and apparently was re-issued several times for the matinee circuit over the years), it is however a subversive little item that seems to bite the little hands that reached up to the ticket booth to buy admission. On the whole, the movie feels like the efforts of cynical adults wishing to make a quick buck on the kiddie market while having a last laugh on their viewers. The results however are mystifying- one wonders why the filmmakers would expend such effort into delivering such cynical undertones that would likely go unnoticed. The film opens with author William S. Burroughs rifling through his bookshelf, finding his own copy of Interzone (in which the original story for the movie is collected) and sitting down by the Christmas tree to read. This image alone is jarring enough- Burroughs the legendary underground anti-hero at the age of 75 (didn’t he always look 75?) turning into Jimmy Stewart?!? There is a low-angle shot of his condor-shaped profile looking whimsical standing beside the tree, and right away we are wondering what kind of perverse whole-someness is being provided us? Has the collusion of mainstream and underground finally gone too far? 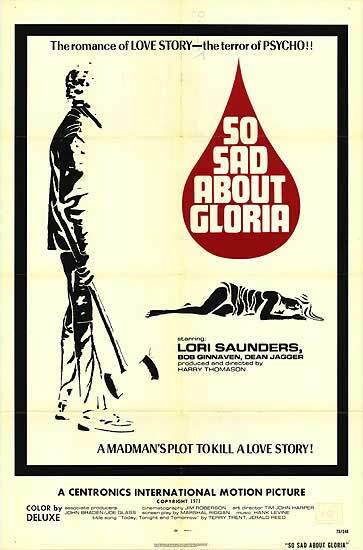 Who would imagine that a tale from the Bard of Benzydrine would be presented to the screen by Francis Ford Coppola? 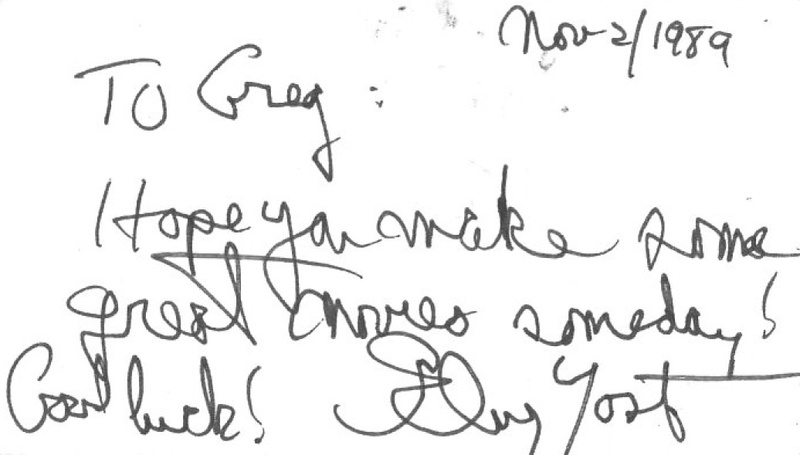 Once the grandfatherly Burroughs settles down into his easy chair, and his crystalline talons turn the hard pages, we dissolve from this natural world into a twenty-minute claymation short, as he narrates for us the pathetic efforts of a dope fiend trying to score on Christmas Day. 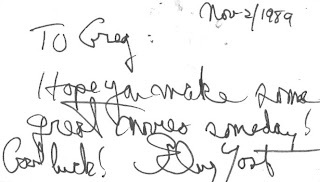 What surprises here is not the junkie’s change of heart in the end. Rather, this celluloid trip is more valuable for documenting a part of the world on December 25th that has seldom been realized for cinema. In other words, there is no Capra-esque fantasy of George Bailey running down the street, and wishing everyone a Merry Christmas as potato flakes of snow fall to the ground. Instead this is about the lonely people sleeping on the street that your sedan passes by as you go visit your folks. Usually the work of Burroughs is a Dadaist science fiction nightmare in which the author can run wild with his ideas and satiric metaphor. It is rare to see a Burroughs piece (and admittedly a short one) in which the characters are real people, presented matter-of-factly, for us not to judge, nor for him to celebrate, but merely for us to understand. Although we may not think that the people scoring crack outside my office are human beings underneath, but that matter is easily forgotten when we have to clean all the pipes and prophylactics off of the back step. 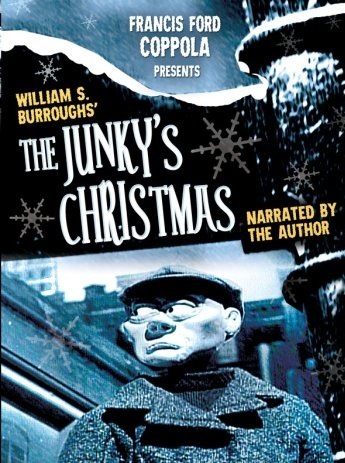 In other words, The Junky's Christmas is presenting an ugly world that, surprisingly, has its own moral code. 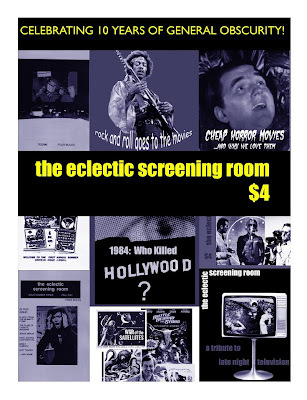 I find it rather amusing that this classic schlock piece was released by Joseph Levine, who produced Godard's Contempt a year earlier. 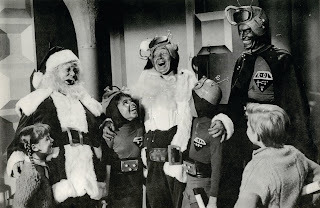 Despite how much people have poked fun at Santa Claus Conquers The Martians over the years as one of the all-time worst, truthfully this film has far too many subversive ideas for such a dubious honour. It is more of scabrous commentary on the western world than Contempt- it is also certainly less pretentious. We usually expect kiddie fare -- especially Christmas movies- to preach wholesome family values and instruct our little ones on the spirit of giving. But despite all the goofy Martians, candy-colors, and funny robots certain to amuse five-year olds of all ages, this is a subversive morality play, indeed! At the heart of this skidrow juvenilia is a subtle, but sour primer for capitalist greed. Take the opening song (also repeated at the end), "Hooray for Santy Claus". The kids' choir on the soundtrack is NOT cheering Santa Claus for conquering the Martians, but actually, jolly old Saint Nick is being lauded for all the presents he has brought the kids! To laud Santa for this is one thing, but also the song continues to make offensive remarks about Santa's weight problem! Talk about a bunch of spoiled ungrateful brats! Still, this dour reference to Kris Kringle is pervasive of Santa's portrayal throughout the entire film. Unlike, say, the Mexican version of Santa Claus, that presents Father Christmas as a superhuman being, this may be the only holiday movie in memory that portrays Santa as a mere mortal. Despite the odd magic that he casts to get himself out of tight scrapes here and there (such as when a mutinous Martian tries to sabotage the ship that carries Santa back to the red planet), I cannot think of another film that accentuates Santa's (very) human frailties. Right from the start, we see Santa as a stressed-out entrepreneur who is bending his elves over backwards to make the December 24th deadline (this is so indicative of the retail manufacturers' classic "Get 'em out by Friday" attitude), To top it all off, Santa hardly wears the red pants of the household. He is constantly henpecked by his nagging wife. 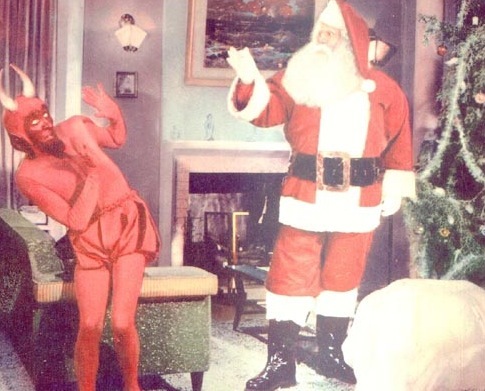 In fact, when the Martians come to abduct Santa, he seems rather relieved-a welcome break from the "supply and demand" of his corporate zeitgeist. When the little green men zap everyone else with a freeze ray, Mr. Claus muses that this is the first time he sees his wife with her mouth shut! 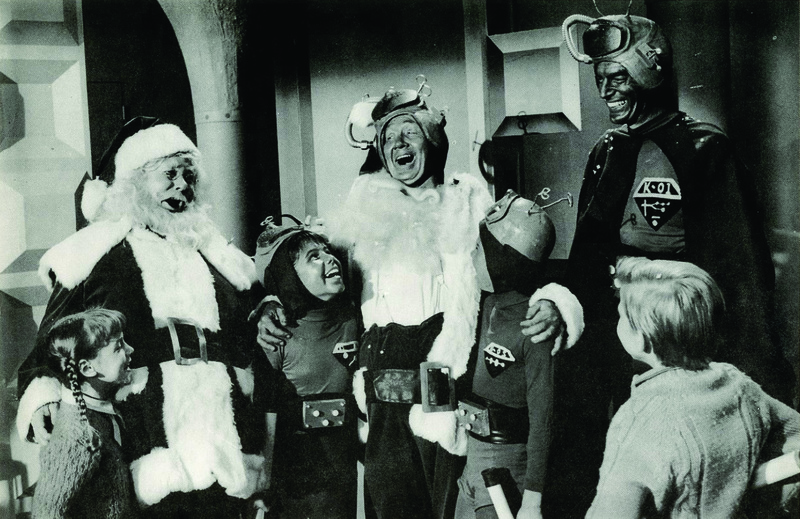 Is it any wonder that Santa doesn't use his powers to thwart the Martians then and there? He's happy to get away from it all! Oh no! What will my wife think? 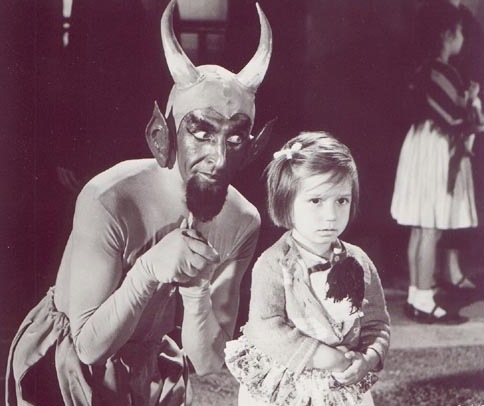 Someday someone should write a book covering the alternative history of kiddie movies (that is, anything but the Disney stuff). 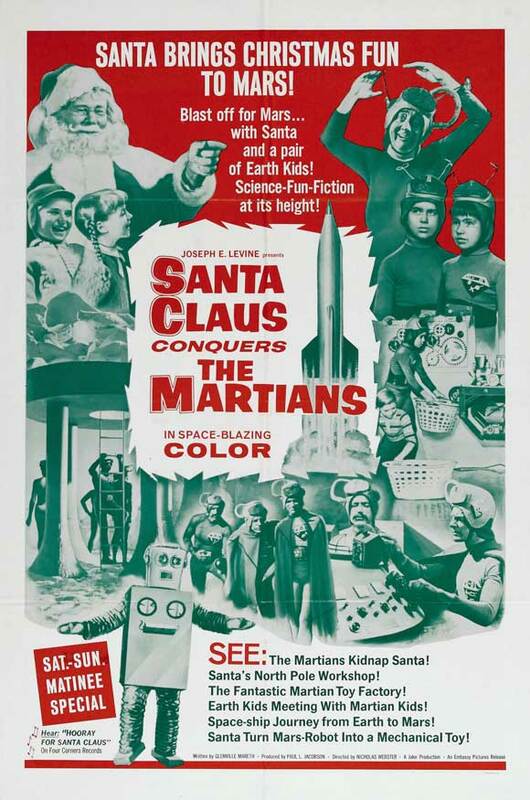 And in terms of subversive matinee fodder, Santa Claus Conquers The Martians ought to get a whole chapter for itself! 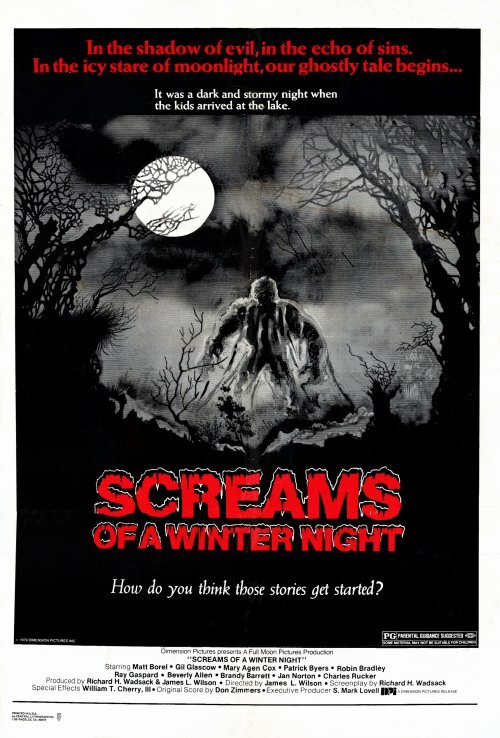 Don't be fooled by all the juvenilia- despite the cute Martian kids, the doltish comic relief, and the terrific gasp of the most pathetic looking polar bear in movie history, this film is actually an insidious little tool for social conditioning! In this seemingly inconsequential fluff, kids are systematically being groomed for the western mantras of capitalism, automation and greed! The real conflict in this film is not in Santa's being told to set up shop on Mars, but the fact that they want him here permanently. In fact, the Martians are already beginning to see the ways of the western world at the outset- their kids are being brainwashed by "those ridiculous Earth programs"! Even the wise old Martian sage tells them that getting Santa for the kids is a good thing. This Entire Martian setting is a primer of all those Communist movie clichés that one would find in old Russian "tractor" films of the 1930s. The old hermit, who nonetheless is versed in the old Martian ways, knows the system isn't working, and prods his comrades towards the avenue of change. The mutinous Martian on the ship delivering Mr. HoHo is the classically universal renegade who rises up against his brethren: "Don't you see? Don't you see? No good can come to our regime from this!" Alas, Santa soon has all these fancy machines set up, making toys at a far greater rate than his grumpy elves. Just a punch of a button and presto! But Saint Nick isn't jolly for long- he still has to get back to earth and meet his deadline for December 24th! What to do? 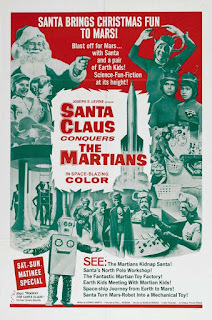 Well, throughout the film there has been a goofy Martian collapsing around (doing a spin on the old Donald O'Connor role), and before you know it, Santa gives him the proposition of becoming Mars' own version of Kris Kringle, so he can get back to head office on time for Christmas Eve. There you have it- the Martians learn the next word in capitalism... franchise! I met a minister once who collected Santa Claus memorabilia. One of his prized pieces was a plate featuring Santa standing in a manger next to the three wise men witnessing the birth of Christ. As an opposition to many devout Christians who feel that thinking about Santa is sacrilege, his contention was that all along Santa was preaching the spirit of giving, and spreading goodness and joy. What's wrong with that? I couldn't agree more with that sentiment- and now I wonder what he may have thought of this film, especially when one of the first images of Santa Claus shows him admiring his model of the manger! 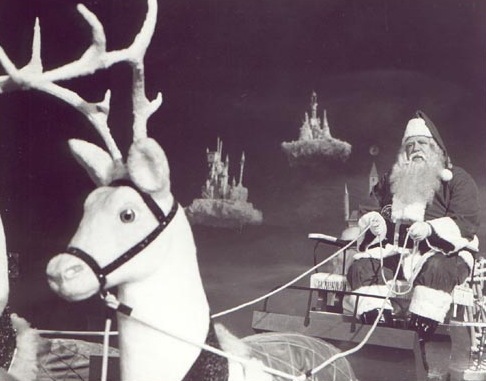 Consider too, the over-long opening set in Santa's representative world. We see kids of all races each contributing their own heritage of music to a lumbering chorus that will delight mostly people under the age of five. Who these kids are in Santa’s workshop I cannot say (if this is heaven, are they dead? ), but it is easy to see why they would like to work there. The kids sing and dance in their native tongues, and the whole place is decked out as a playground. Doorways are shaped as keyholes, the telescope has an actual eye in the lens, the sonar equipment is decked with an ear, the loudspeaker has a giant mouth, and the reindeer are wind-ups (a good way to disguise the cheapness of the latter)! Another fable akin to Santa Claus is “Alice In Wonderland”. There are more drugs taken in this kiddie film than any other I can remember. Those educational films about drugs and alcohol seem conservative by comparison. With the help of Merlin the Magician (! ), Santa has the ability to disappear with the sniff of an orchid, and some white powder (!!) makes him re-appear. These little party favours are certainly beneficial for his December 24th excursion- he even blows some magic dust to make sure some kids are asleep before he comes calling. The poor little rich boy gets his wish fulfilled as Santa , disguised as a waiter, (although whatever disguise he is in remains off-camera) brings a bubbling drink on the house to his parents at the swanky cocktail lounge, and once they imbibe it, they have the sudden urge to go home to their child! Finally, in a comic battle reminiscent of the final battle in The Raven (1963), Santa and The Devil match wits against each others’ magic. All in a night’s work and to all a good night. 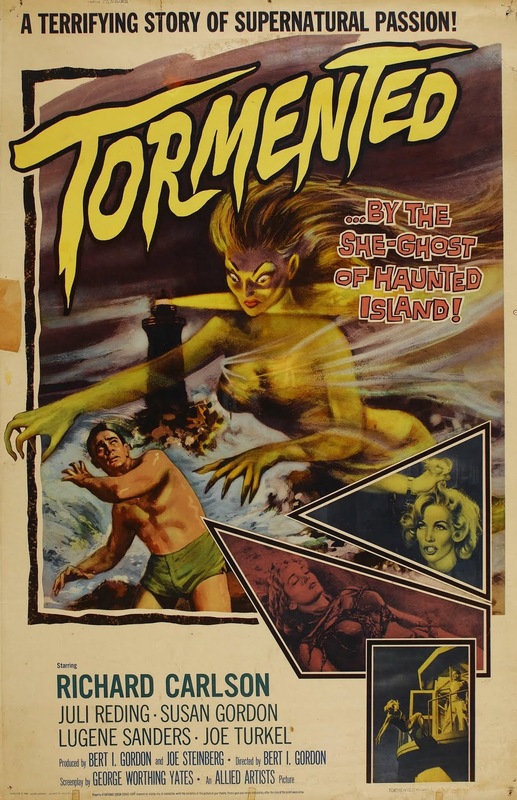 Back in the days of the kiddie matinee, this film was a seasonal favourite, thanks to the shrewd marketing ploys of producer K. Gordon Murray, the Florida-based distributor who imported Mexican films and dubbed them for the English market. His cheap kiddie imports at one point even rivalled Disney for attention in the Saturday afternoon matinee circuits. 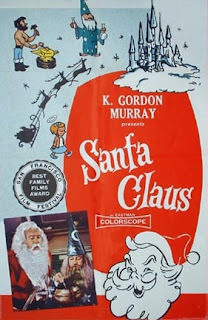 Every three years for almost two decades, Murray would resurrect Santa Claus at Christmas-time to rake in ticket sales. Although this film was obviously made for pre-adolescents, there are so many marvelous visual and thematic ideas running through, that adults would no doubt enjoy it too, regardless if those less young at heart would notice the occasional lethargy in plot, the dubbing which somehow turns Santa's "ho ho" into something like a smoker's hack and that he only has four reindeer instead of eight (windup reindeer at that!) could be either interpreted as cheapness or revisionism. Admittedly, Santa Claus shuffles in fits and starts sometimes, but still I walk away amazed by the proceedings. Truthfully though, I can’t think of a more wonderful holiday film to put a toddler in front of. This film is full of inventive visual ideas, it is benevolent without being cloying, and it is terrific fun for young and the young at heart. And Santa is a supremely wonderful soul: full of music, energy and laughter. That he is slyly equated to Godhood is not a sacrilege, but sensible. Like that other being up above, Santa is always watching, ensuring that those who are eternally good receive their great reward. Plus, isn’t the fact that Santa gives the world toys out of one bag reminiscent of the never-emptying bread basket in The Last Supper? 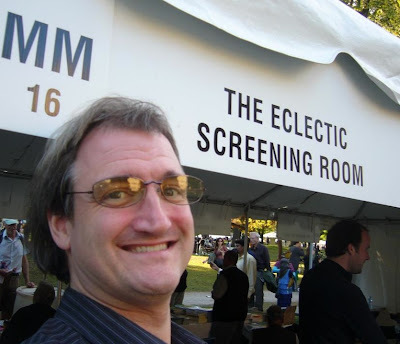 John Hamilton is a former New York commercial artist who has fled with his wife to rural Connecticut to begin a new career as a painter. However, his wife Linda (yes, Linda Hamilton) misses life in the fast lane in The Big Apple, despite John's implications that her former lifestyle contributed to her "illness". A recovering alcoholic who frets over a grey hair at age 28, Linda is especially upset that John will be turning down a lucrative job offer back in the city, preferring instead to toil away his time in his new career that brings neither acclaim nor fortune. The implied conjugal tensions outwardly manifest themselves into this John Cheever-ish world when Linda appears one night at a birthday party, inebriated, and with a black eye that she falsely accuses John of giving her. Soon after, when Hamilton returns from the New York trip where he turns down the job offer, he finds that all of his paintings have been slashed, and his wife has disappeared. 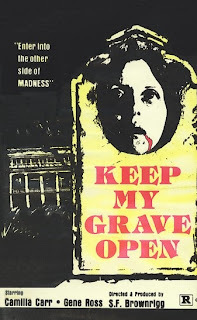 In short order, Linda's body is discovered buried in the shed underneath fresh concrete. Since John is already labelled a cad among his friends and neighbours, thanks to his wife's accusation the previous night, he is naturally accused of murdering Linda and flees persecution by the police and the mob of townspeople. The Man in the Net is a surprisingly enthralling film noir, and also an interesting credit late in the careers of both actor Alan Ladd and its prolific director, Michael Curtiz (who had helmed many Warner classics in the 1940s). At first, this movie seems like a pleasant enough variation on the "falsely accused man on the run" plot. 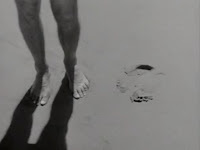 Despite how formulaic this story may first appear, it is made engaging for the panache that Curtiz gives the material- he certainly knows how to set a mood with deceptively simple mise en scene. 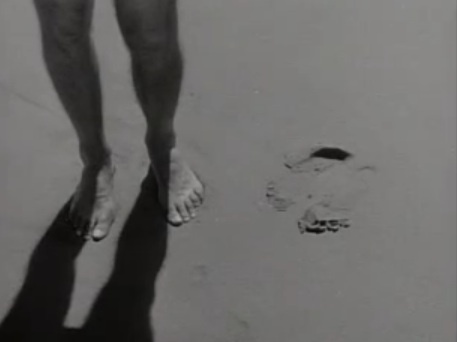 (And as we will see, this film is deceptive in many ways.) 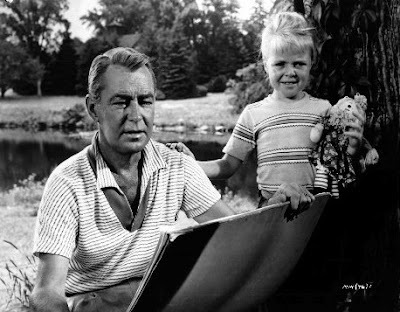 By 1959, Alan Ladd's career had been fizzling- his acting instincts had become tired and dulled, and had to accept star billing in second-rate pictures. 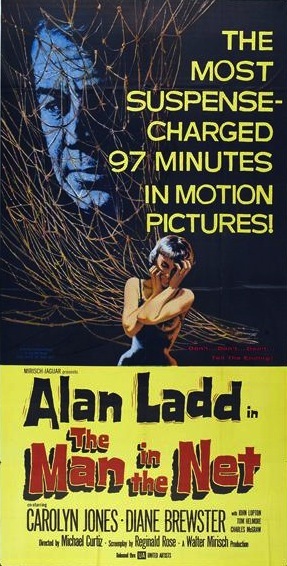 Yet in its own negative way, Ladd's taciturn, world-weary demeanour suits the character of a man who has been put upon both personally and professionally. 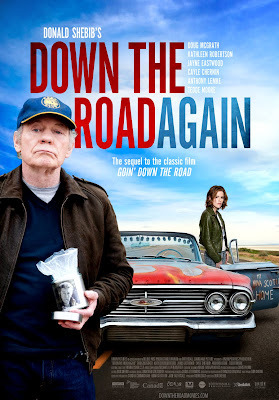 Carolyn Jones is superbly cast as his estranged wife- with her Bohemian bangs suggesting that she ended up in Connecticut by way of Greenwich Village, Linda is truly a fish out of water in this rural environment- yearning instead for life in the fast lane, despite the consequences. If you stretch it, this film could be a continuation of her Oscar-nominated role in The Bachelor Party (1957)- "The Existentialist" has left the Beatnik scene for the suburbs. Any good film noir reveals the corruption beneath the surface of a supposedly civil society. Yet rather than depicting a rainy, urban jungle this film juxtaposes the benign suburbia of New England with a story of adultery, blackmail and murder permeating the picture-postcard landscape. And still, despite moving the setting to an uncommon green oasis, this "man on the run" formula is further differentiated as it slowly evolves into a delightfully bizarre allegory. In the final third of the picture, John receives aid from the children he has befriended while painting out in the meadows. The movie thus becomes a unique Utopian treatise, as the incorruptible kids not only believe John, and enact his complex and clever plot to prove his innocence, but the children forge their own unique society with a moral code of virtue, loyalty, and a tolerance of class, race and gender. (The leader of the kids is a girl, after all. Young Susan Gordon, in one of her few screen roles, is a delight as the kids' captain and den-mother: the Raggedy Ann doll she always carries symbolizes her maternity and strength.) Further, it is a delight to see the African American boy Leroy work and play in harmony with his white friends. (This film is one of the very few from an age of segregation that slyly presents fraternity among mixed races.) The adult world by contrast is Barbaric and archaic, adhering to an outdated structure where race determines class: for instance, Leroy's father is a servant for one of the white kids' parents. Despite that the current ruling class of this supposedly picket-fence environment is revealed to be full of deceit, one actually finishes the movie with the hope that these children (already exhibiting a maturity beyond their years) shall inherit the world, and seed their goodwill for future generations. Perhaps the children find a kinship with John in that he is an artist, and also lives a supposedly carefree (shall we say? childishly innocent) existence outside of the constrains of the ruling class. Sadly, The Man In The Net is nearly forgotten today- hardly considered a career highpoint for any of the people involved. Seeing a film like this recalls Wheeler Dixon's book Lost In the Fifties: Recovering Phantom Hollywood (which I read last month, and will review here soon): its central thesis insists that one would do best to look at the 1950's film and television that have not remained in memory, as they will be the works that more accurately depict the times in which they were made. Indeed, many works of the decade suggest a society of forced conformity, sexism and segregation; this film on the other hand offers a more hopeful message of harmony and equality. Released just a few years before such social themes entered the collective consciousness, Man In the Net is a fascinating precursor of the changing times. A programmer it may be- but a wholly diverting one at that. Like the characters onscreen, this movie has much more underneath than meets the eye.